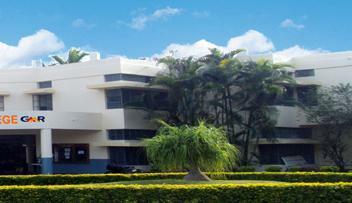 Welcome to Sri GCSR College Website! The corporate social responsibility arm of GMR Group established Sri SGCSR College in the year 1993 at Rajam, affiliated to Dr. B.R Ambedkar University, Srikakulam, under UGC 2F & 12B (earlier with Andhra University Vishakhapatnam, upto 2012) with the intention of nurturing and preparing the rural youth towards promising career opportunities.Education being the key to complete development of an individual, the management of Sri GCSR College aimed to inculcate within their students the vision to excel academically and to compete effectively and healthily. Located in Rajam, Srikakulam District of AP, the college provides its students excellent facilities, infrastructure and competent faculty. Screening Test for Admission into B.Sc. 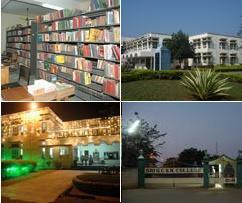 Computers courses (MPCs, MECs, MSCs) along with B.Sc. MPC from 2019-20. � Dept.of Computer Science organised � INNOWAR-2K18� on 3rd Feb-2018,where 120 Computer Science students from different colleges have been participated in the events of - Poster Presentation, Student PPT, Student Seminars and Extempore. Dr.A.Venkata Ramana, HoD Computer Science, GMRIT, was the chief guest for the function, and 1st 2nd prize winners have been given prizes on the day. � NCC Cadre Camp of Group Level has been organized in the college from 5th Feb to 14th Feb, 49 cadets from Vizianagaram,Srikakulam and Visakhapatnam. � Meeting with Mr.Chandra Sekhar Akula of SARC Associates, Visakhapatnam on 15th Feb-2018 and discussed about the possibilities of start a certificate programme in GST and also invited him to address the students and Commerce faculty on GST. � Both of NSS Units have been organised Special camps at Munakalavalsa and Balakavivalsa villages from 20st to 26th Feb-2018. � 4 of our NSS volunteers ( 1. I.Janaki Lahar 2. S.Vinod Kumar, R.Manohar Prasad and G.Sinduja ) have been participated in NSS state level youth festival at Tirupathi on 26thh to 27th Feb-2018. � Troika 2K18(Physics Fest ) organised by the Dept of Physics on 24th Feb-2018, where 75 students from different affiliated colleges have been participated in the events of Seminar. Power point presentation, poster presentation and real time projects. � Prof.D. Krishna Rao, HoD BS&H,GMRIT and Dr.B.Radha Krishna, HoD Physics and Controller of Examinations of M.R. (A) college were guests for the day. � 30 of students have been participated in Science Exhibition on the eve of National Science Day on 28th Feb-2018, organized by Dr.B.R.Ambedkar University, our students god 2nd prize in Swatch Bharat Model for �Oil Skimmer Project�. SGCSRC's Training & Placement Cell actively assists graduates in finding jobs that match their skills and interests. � 2017, Sri GCSR College.